Nishant Chaturvedi...: Dalit killed in Bengal, but being a BJP supporter made him untouchable ? Dalit killed in Bengal, but being a BJP supporter made him untouchable ? Hypocrisy probably is the other side of politics. For politicians it is their vote bank, their cadre & their supporters that matter. So its no surprise that the politicians known for midnight candle march against the attrocities on dalits, preferred to stay back in their cosy homes when a dalit was killed and then hanged in West Bengal few days ago. This dalit boy was a BJP supporter. On May 29th, 18 year old Trilochan Mahato had gone out to buy provisions for his house in Balarampur in Purulia district of West Bengal but in the same evening his family received a phone call from his mobile phone and Trilochan was crying for help on the phone. Next morning his body was found hanging from the tree, just 200 metres away his home. Trilochan's father is a BJP leader from Balarampur and his murder was a warning to everyone who supported BJP. The message written in Bengali on Trilochan's white tshirt was.. ' this for supporting BJP'. Other than BJP no political party raised a voice against this cold blooded killing of a dalit youth. Being a supporter of BJP made this dalit youth untouchable. BJP has alleged that rulling party TMC's was behind this killing. Also proved is the truth that Mamta is didi only for her own supporters and cadre. Her party takes pride in the slogan of 'Ma Mati Manush' but her government did nothing to protect the 18 year young 'Manush' of a 'Ma' from the 'Mati' of West Bengal. As I write this article there is one more murder of a BJP suporter being reported in Purulia, he too was found hanging from a pole. Finally the state government has ordered a CID inquiry. 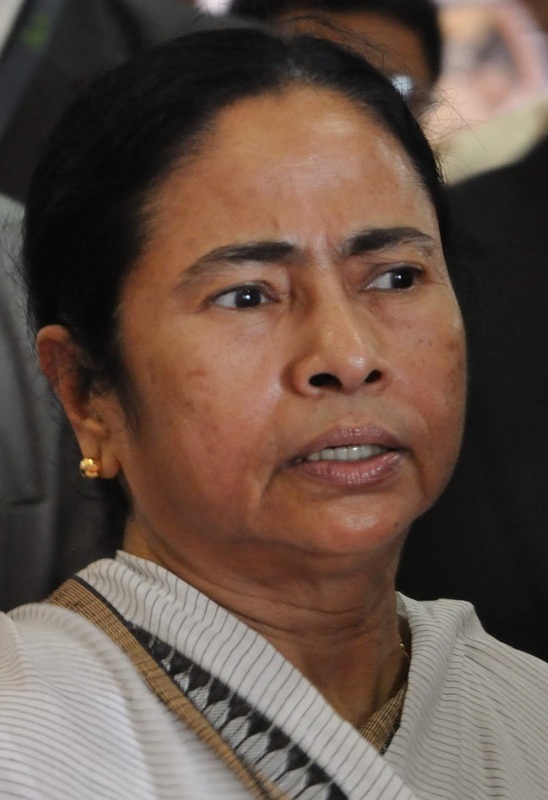 Governance in West Bengal is being questioned by all and chief minister Mamata Banerjee must reign in some 'Manush' who are going wild in the game of politics, as seen by all in recently concluded panchayat elections. Compare the above incident with the recent incident in Rajkot district of Gujarat, where a dalit ragpicker Mukesh Vaniya was killed after being brutally beaten up a factory owner and few of his staff for picking up the waste material outside the factory. The very next day everyone involved in the assault was arrested and the family members of Mukesh were handed over the compensation by the state government. Do note that the ragpicker was not killed because he was a dalit but the opposition leaders were quick to label BJP as 'Dalit Virodhi' and even 'Loktantra bhi khatre mein aa gaya'. Hypocrisy probably is the other side of politics as the same politicians sit quietly on the murder of dalit BJP worker Trilochan Mahato in West Bengal.